There are over 190 different breeds registered with the UK Kennel Club and every single breed holds characteristics that are different to the other breeds. Each breed has a blueprint by which breeders adhere to when breeding each litter. This blueprint is called the breed standard and is owned by the Kennel Club. Every judge that officiates at a Kennel Club registered dog show whether it is a small Limit Show or a major Championship Show has to judge to the breed standard. He (or she) is looking for the winning dog that most resembles the blueprint of the breed. This could be in movement built, coat type and temperament – all of these sum up the breed characteristics. The dogs in this group have characteristics suitable for hunting either by sight or scent. Familiar dogs that hunt by scent include the Beagle and the Bloodhound. Sight hounds include such breeds as the Greyhound and the Whippet. These trustworthy dogs are good companions that need a fair amount of exercise. Dogs in the terrier groups were mainly bred for hunting animals such as fox, badgers and rats. Hardy tenacious animals some breeds can have fiery temperaments. In this group you will find Parson Russell Terrier, Norfolk Terriers and West Highland White Terriers to name but three. In this group will be found the small lap dogs. These dogs are not ornamental and have brave hearts within their small frames. Cavalier King Charles Spaniels, Pekinese and Yorkshire Terriers are some of the little dogs found in this group. This group holds some of the bravest of our breeds and serves to guard search and rescue. Within this group are the Rottweiler, St. Bernard and the Newfoundland. Once part of the Working group, this group was formed when the original working group became too large. Breeds that herd and protect cattle and sheep represent the Pastoral group. Their coats are waterproof and their loyalty to their flock is legendary be it human or animal. Amongst this group are The Bearded Collie, The Old English Sheepdog and the Polish Lowland Sheepdog. This group as the name implies, has been bred to work to the gun either finding live game or retrieving game that has been shot. Dogs of good temperament that make ideal family pets can be found in this group, examples of which are: Retrievers, Irish Setters and The Cocker Spaniel. This group holds a hotch potch of breeds, mainly non-sporting that do not fit into the other groups. Here you will find Dalmatians, Poodles of varying sizes and the Japanese Akita. When a much loved family dog dies breeders are often told that the purchaser would like a dog that acted and looked like their much missed pet. 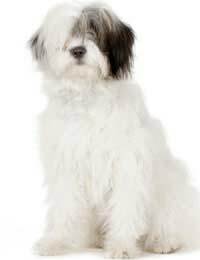 By purchasing the same breed many of the old dogs characteristics will be seen in the new puppy. Go back to the original breeder and there may even be family traits that are passed through to the new puppy very much as children in one family act in a certain way to their siblings.